At the heart of the true nature of Verdon, Le Pré Saint Michel invites you to discover the unique landscape of Provence staying on the heights of Manosque. This 3 star hotel welcomes you in a beautiful country house in typical Provencal style and atmosphere for a charming stay in Manosque. During your next vacation, a romantic weekend or a seminar in Manosque, Le Pré Saint Michel invites you to enjoy the quiet and comfort of a 3 star hotel. This 3 star hotel invites you to relax you at the edge of the pool and enjoy the warmth of the sun terrace for a stay of charm and relaxation. Discover the history of Manosque, city heart Jean Giono, and enjoy the warm hospitality of the 3 star hotel Le Pré Saint Michel, for a memorable stay of discovery. In the quiet of the natural park of the Verdon, the hotel Le Pré Saint Michel Manosque offers a getaway in the comfort of a 3 star hotel. 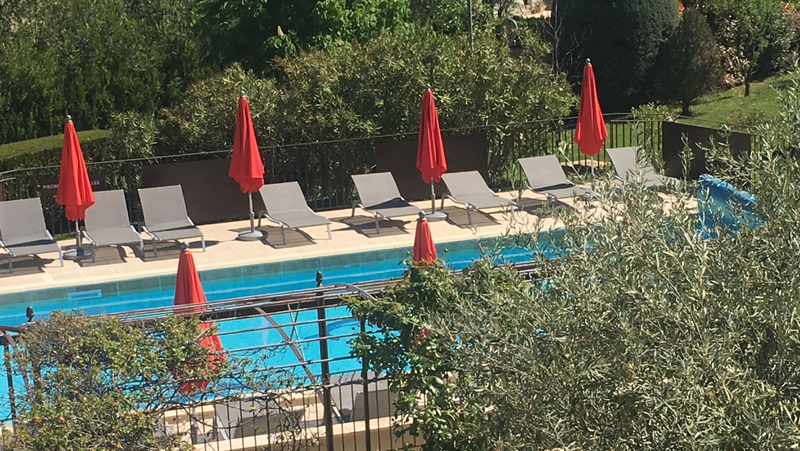 Time for a weekend, discover manosque and its environment, and stay in a 3 star hotel with swimming pool for an enjoyable stay in the heart of Provence. This 3 star hotel in Manosque offers to host you in one of its rooms and decor inspired by Provencal houses for a living exotic. The hotel Le Pré Saint Michel Manosque 3 star hotel is ideal for a stay of well-being and discoveries. In a unique setting, the restaurant this 3-star hotel invites you to taste the flavors of the local cuisine in the restaurant during your visit to Manosque. For a perfect stay in Provence pace, this 3-star hotel welcomes you with warmth and offers quality accommodation on the heights of Manosque. The garden, pool and restaurant of this 3 star hotel in Manosque will contribute to make your stay a memorable one.